2019 Challenge - Week 3 Roundup! Three weeks down, one to go! We are truly blown away by all of your hard work, Beauties! Thank you all for being so inspiring and such a supportive community. Here are some of the amazing workout photos we have seen of our Ballet Beauties this past week. We LOVE celebrating all of you and seeing all of your beautiful faces! 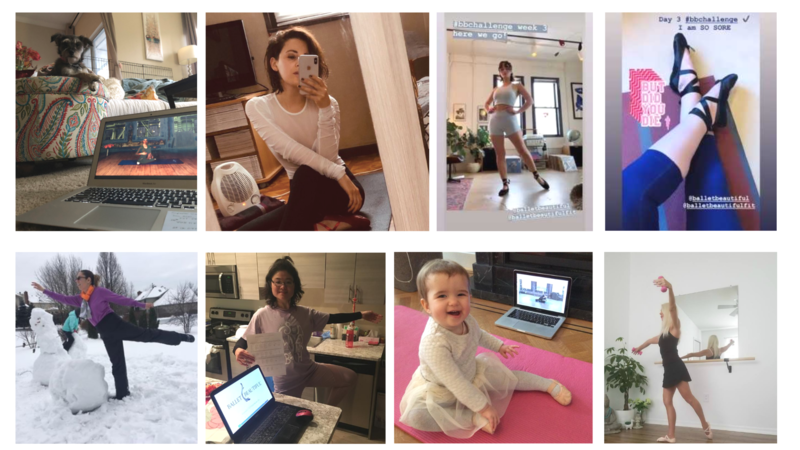 Thanks to Betty Xing, Laura Ashley Kelly (@laura.fitover50), Becky Marie, Laura Cooper (@alauracooper), Ingrid Roig, Karen Riggio (@karen_Cassiopee) and Christine Javed (@christinejaved) for sharing their photos with us.